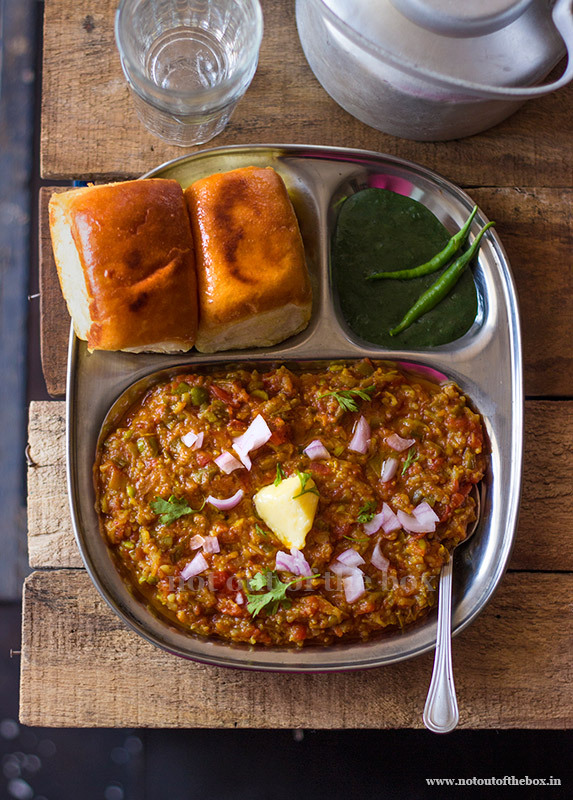 Pav Bhaji is a popular street food of Mumbai. It's an amalgamation of veggies which known as Bhaji. And it served with butter toasted, soft & crisp Pav buns. A delicious, complete meal loved by people of all ages. Boil all the veggies except onion,, tomatoes, and capsicum, keep aside. In a bowl add potatoes, cauliflower, carrots, and beans. Mash them a little using a vegetable masher. No need to mash them completely. Heat oil in a frying pan. Temper with cumin seeds. Add chopped onion, sauté them until light brown in colour. Add ginger-garlic paste, pav bhaji masala, turmeric powder kashmiri mirch powder, salt, and chopped tomatoes. Mix & stir them over low heat until fragrant. Mash the tomatoes using the spatula. Now add the mashed veggies, capsicum, green chilies, and peas. Mix well, and add ½ cup of water. Mix & cook over medium heat for 10-12 minutes. Keep stirring to prevent burning from the bottom of the pan. Next to add garam masla powder. Mix well, top the bhaji with some butter (as much as you like) at this stage. Remove from the heat. Slice the pav buns from the middle. In a frying pan add some butter, and sauté them from both sides until crisp toasted. 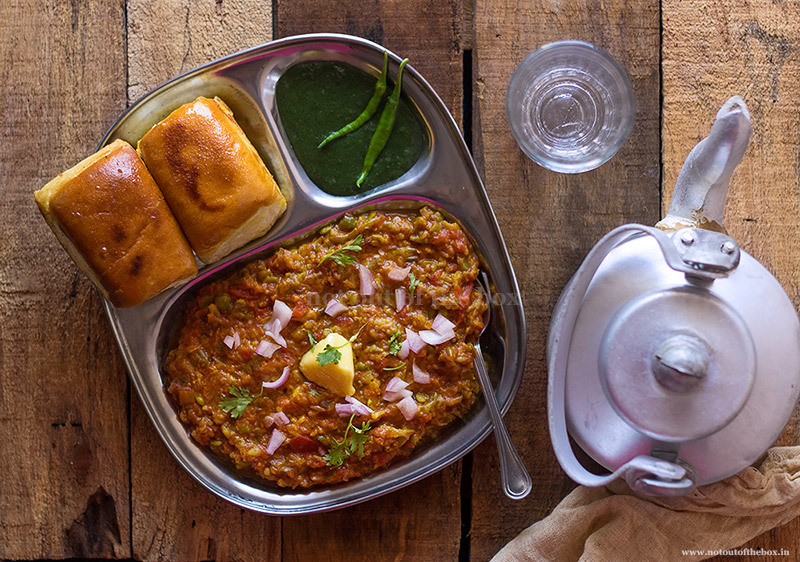 Serve hot with Bhaji. And add some sliced onions, green chutney to the platter as accompaniments. Enjoy!